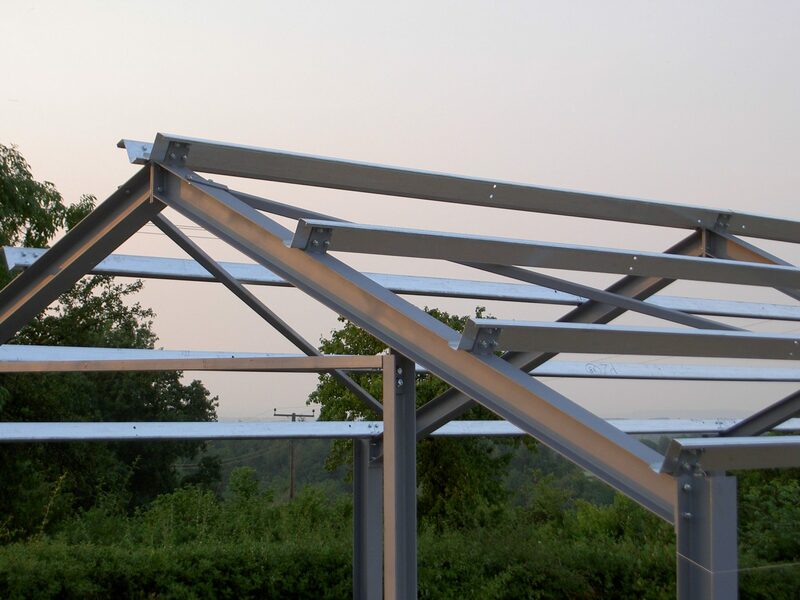 Purlins are galvanised steel beams that allow you to safely attach roof and wall cladding sheets to any building. The combination of our Z purlins and C section purlins provides a strong and sturdy complete structural solution ready for roofing and side cladding. C Section Purlins are designed to form the walls and floor joists of a building shell structure and are ideal for support beams for mezzanine flooring. They can also be used for door framing, roof trimming, window trimming, parapet rails and side rails. Z Purlins are designed to form the roof and wall joists of a building shell structure. Our zed purlins and cee section purlins are available in a range of thickness and manufactured to customers precise requirements up to 8m (26.25 feet) in length. We can supply them un-drilled or with pre-drilled holes at 18mm diameter (small hole sizes available on request).